New Year and new beginning, with new products at all times from Fruity Lux! Are you looking for unique and delicious New Year Gifts ? Take a look at our fantastic selection of fabulous New Year Gifts. 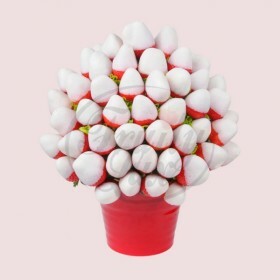 Send a yummy message with New Year Fruit Bouquets and Edible Fruit Flowers for Happy New Year. 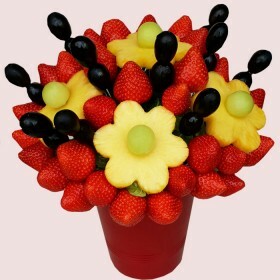 Our New Year edible fruit arrangements include fresh fruits - pineapples, apples, melon, grapes, blackberry and strawberries dipped in chocolate. 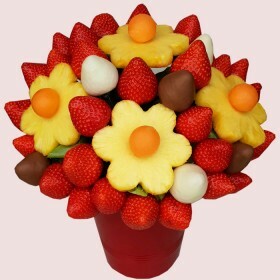 Bring one of our delicious New Year Fruit Bouquets to your New Year party and WOW your guests. Celebrate special New Year with Fruity Lux. 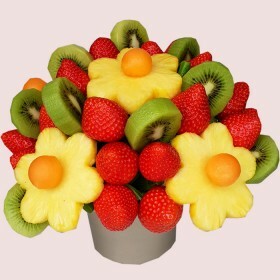 Delicious fresh New Year Fruit Bouquets and New Year Fruit Gift baskets guaranteed to bring a smile. 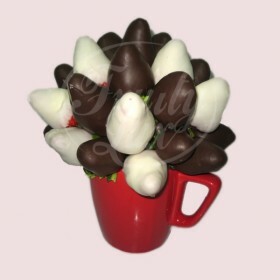 Fruity Lux Edible Fruit Bouquets make the perfect Gift for celebrations - anniversary, wedding, birthday. Delicious beauty to congratulate on New Year.